Are your friends always talking about the Flash, Batman/Gotham, and Green Arrow/Arrow? Do you want to get into it too? Are you on the verge of jumping into the DC Comic Universe and don't know where to start? Were you just too darn busy last year to watch these shows? Or does someone keep deleting your shows of the DVR before you can watch it? Only one week away from this epic DVD Set Release! 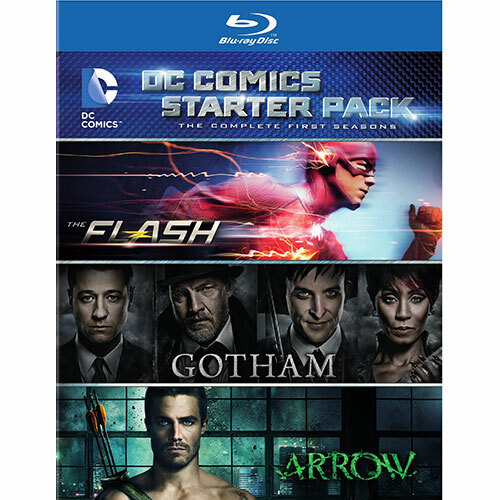 The Complete First Seasons of The Flash, Gotham, and Arrow! Pre-Order a copy here, for $117.99. The easter eggs are in piles with these shows!